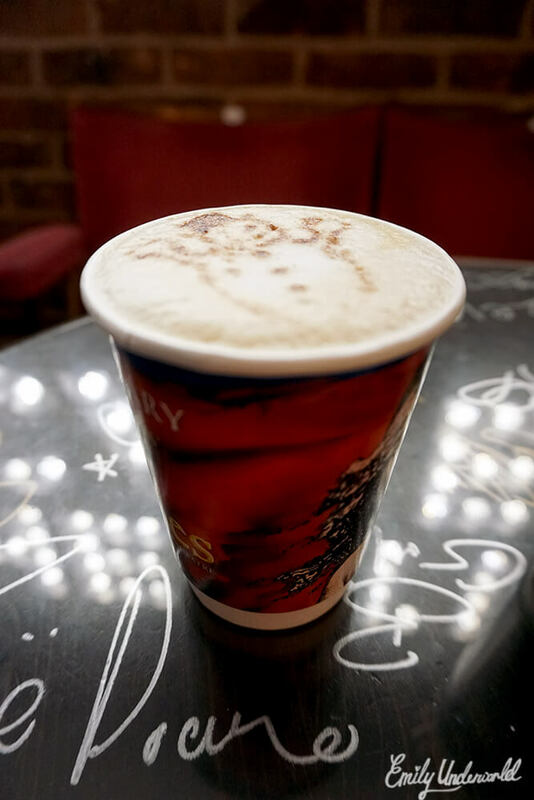 After a long day of wandering around the Tower of London, a Christmas Market at London Bridge, Covent Garden, Leicester Square and Chinatown with my Grandad, we were desperate to stop off at a cafe for a drink. We came across the Theatre Cafe on Shaftesbury Avenue, a place I’d wanted to check out for a while, and oh boy it’s wonderful. The whole cafe is musical theatre themed, which is pretty much my idea of heaven. 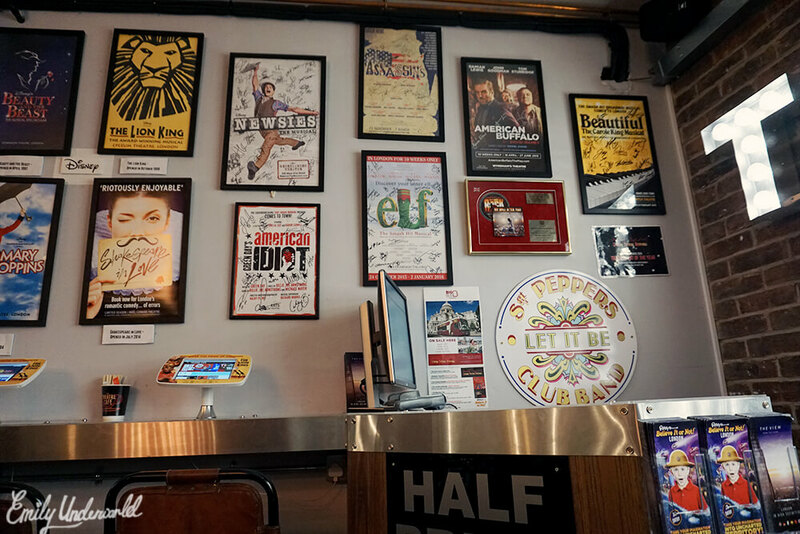 I love the musical posters on the walls, the drinks are musical themed, they play songs from shows… it’s perfection. 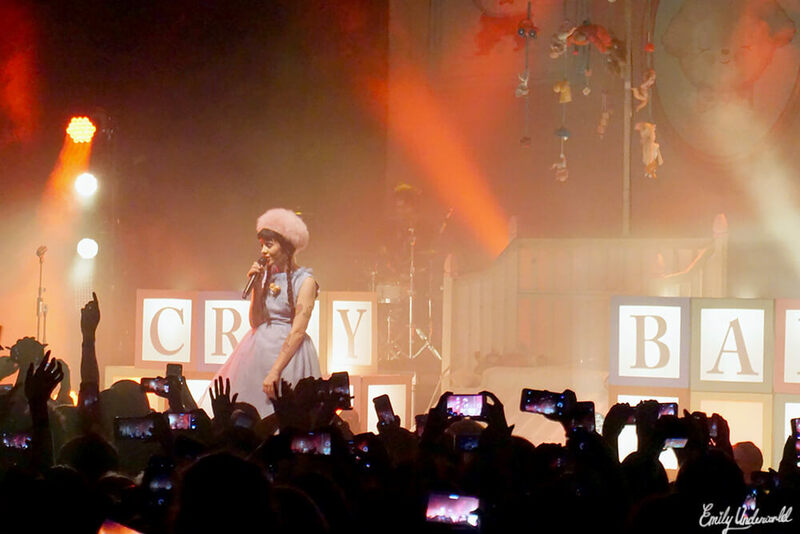 You can also buy theatre tickets while you’re there, request songs, and apparently they do Open Mic Nights on Saturdays! I went for a hot chocolate with cream, sprinkles and marshmallows, and it was perfection. It came in a cute Wicked cup, and I finished it so quickly. YUM. My Grandad’s coffee came in a Les Miserables cup (I was a bit jealous), and it had a cute snowman design on the top! We didn’t get any cakes or snacks because we’d already eaten, but they looked delicious. Considering how obsessed I am with musicals, it’s a bit crazy that I’ve never been here before. Regardless, I’ll definitely be returning and taking my friends! 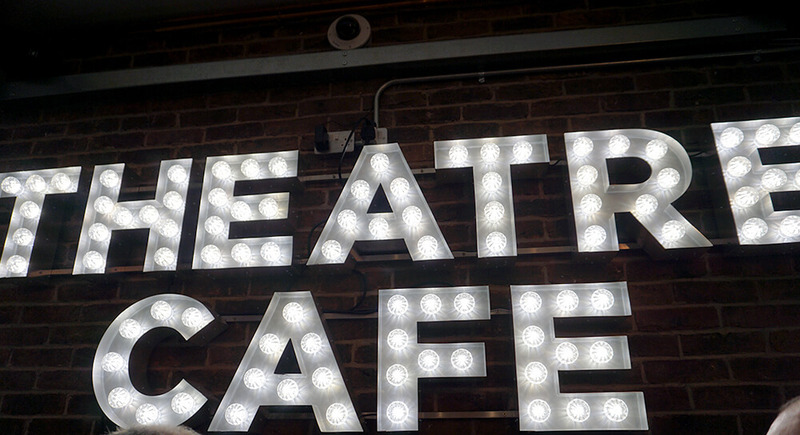 The Theatre Cafe is open from 11am-8pm Mon-Fri, 10am-8pm on Saturdays, and 10am-7pm on Sundays. 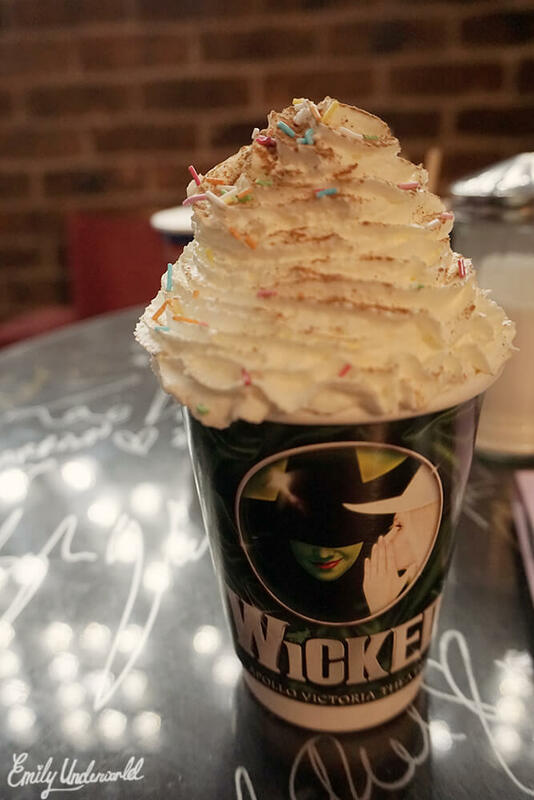 Oh, and I hear that Carrie Hope Fletcher is a regular customer!